Washington, DC – If Abdul El-Sayed can pull off an upset win in Michigan’s Democratic primary on Tuesday, he will be one step closer to becoming the first Muslim governor in the United States. The 33-year-old progressive underdog, who has rejected corporate money, has received endorsements from the Vermont senator and former presidential candidate, Bernie Sanders, and progressive Democrat Alexandria Ocasio-Cortez, whose surprise win in the New York primary elections in late June highlighted a growing divide in their party. While El-Sayed has garnered national media attention, he faces numerous obstacles. Opinion polls give Gretchen Whitmer, the former Democratic leader in the state senate, a double-digit lead. But El-Sayed’s supporters point to the upset victory of Sanders over Hillary Clinton in the 2016 Democratic presidential primaries in the state as a sign of hope. And if El-Sayed is able to defeat his primary opponents, he will still face an uphill battle in a state won by Donald Trump during the 2016 presidential elections. 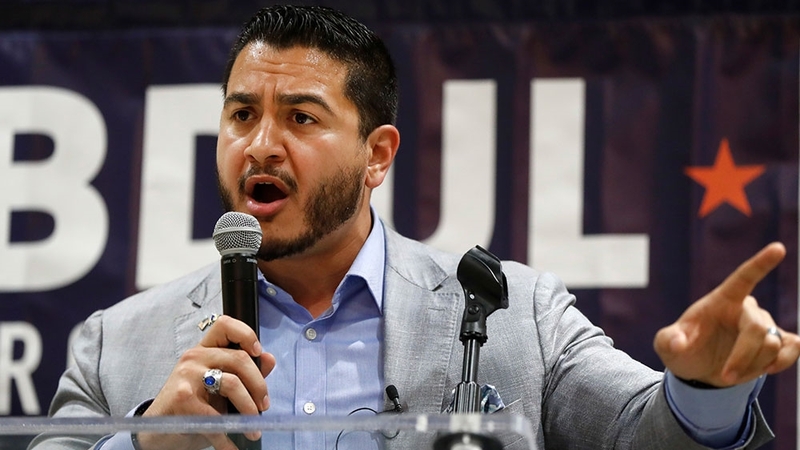 Despite the obstacles, El-Sayed is part of a broader wave of Muslim Americans running for political office in record numbers, according to Jetpac, a nonprofit that advocates civic engagement among the 3.45 million-person religious minority. This year has seen more than 90 Muslims, mostly Democrats, enter races for public office on the local, state and national levels, according to Jetpac. The group says this is the more than any other year since the September 11, 2001 attacks. Of that total, around 40 are still in their respective races, Jetpac says. According to Wajahat Ali, a New York Times writer covering religion, family life and US politics, there’s been a trend since 9/11 of Muslims Americans and others from the community becoming “more engaged and involved in all arenas of American life – from culture to politics”. The increased interest in politics came despite – or perhaps because of – the wave of anti-Muslim sentiment in the wake of those attacks, a phenomenon that has only increased since Trump’s electoral victory. The Council on American Islamic Relations documented 300 hate crimes against Muslims in 2017 – a 15 percent increase from the previous year, while the Southern Poverty Law Center has observed a mushrooming of anti-Muslim organisations since Trump launched his campaign in 2015. Deedra Abboud, a Democratic hopeful for US Senate from Arizona, is one of those who were motivated to dive into politics after Trump’s election. The lawyer and civil rights activist said, 15 years ago, Muslim Americans – much like other immigrant groups – debated if they could participate in politics. After 9/11, many kept their heads down as they weathered the wave of resulting Islamophobia, she said. The widespread backlash Muslim Americans faced after September 11 was “nothing compared to where we are heading” under Trump, she added. Abboud’s headscarf has made her a target of Islamophobic harassment online and at rallies. Local media outlets across the country have reported similar incidents of discrimination against several other Muslim candidates. 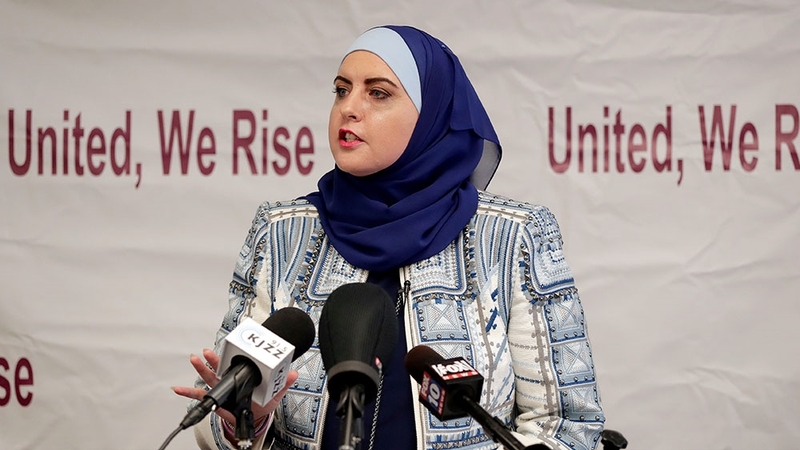 Angered by the increasingly heated debate over immigration, anti-Muslim sentiment and xenophobia in the wake of Trump’s election, Amr Kotb also joined the tide of Muslims seeking office, even at the local level. “I wanted to take that anger and convert it into a positive outlet, where I could seek to reverse these things,” Kotb, who is running for advisory neighbourhood commissioner in Washington, DC, told Al Jazeera. Analysts say Trump’s rhetoric is not just driving Muslims to run for office; it has also inspired an unprecedented number of candidacies among Latinos, Native Americans and women. Michiganders are less concerned about how I pray. They care more about what I pray for: my family, my community, my state and my country. There is so much more that we have in common than those who wish to divide us want us to believe. “For the first time, people are scared that democracy is being destroyed,” said Rula Jebreal, a policy adviser and professor at the University of Miami. As Tuesday’s primary approaches in Michigan, El-Sayed is more focused on his community’s concerns than his faith. “Michiganders are less concerned about how I pray,” he told Al Jazeera.